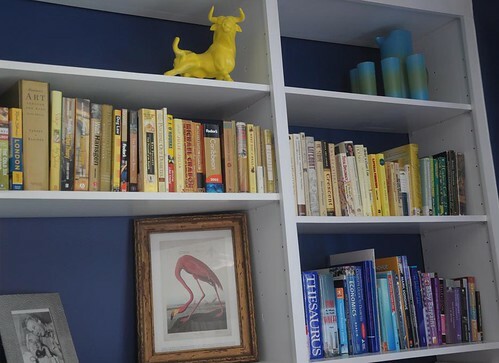 Melvil Dewey would certainly not be proud, but we sure are: check out how local resident Liz Cherry organized the books in her home by color. 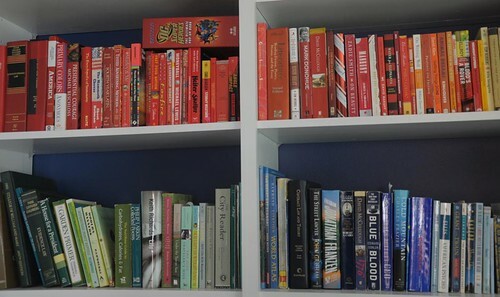 “When I set it all up, I separated all our books according to color and then added them to the shelves starting with red. I try to leave space between each color so when I have a new book to add I can slot it in. That said it’s definitely more of a pain to add in the red, orange and yellow books! I keep white and black at the end because so many books come in white and black. Liz keeps her three-year-old son’s books on the bottom shelf. For easy access and the sake of her own sanity, she doesn’t worry about color matching them. The walls of the room are painted Benjamin Moore’s down pour blue. The bookcase was installed after the walls were painted, so each little shelf space didn’t have to be painted individually — a huge time-saver. 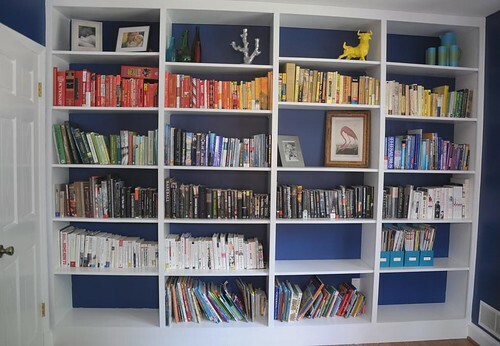 We’ve also seen color-coded book organization on blogs such as Design Sponge and Apartment Therapy. 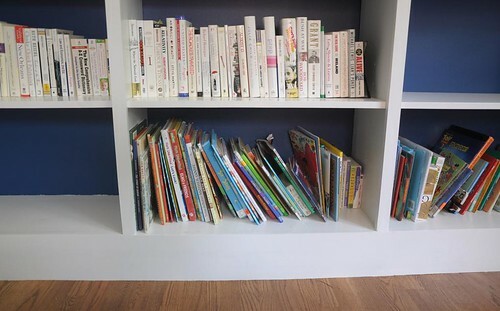 Check our these blogs for other fun ways to organize and decorate with books. Keep these articles cmonig as they’ve opened many new doors for me.